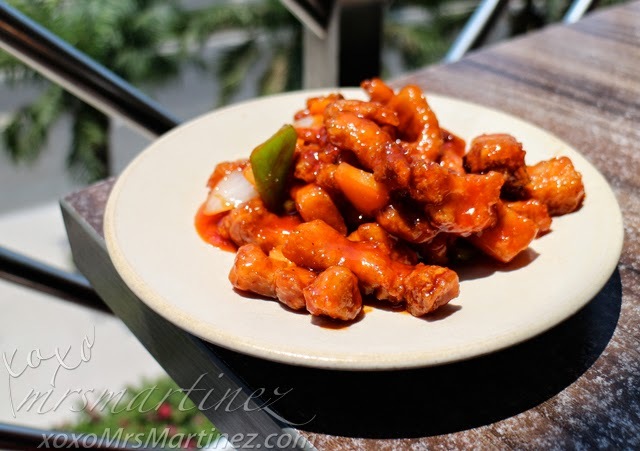 Before I tell you all about our Easter experience with Sofitel Philippine Plaza Manila, let me first share with you where and what we ate for our lunch before we check-in the hotel. We went to SM MOA to buy Hello Kitty bathing suit and 2 life preservers for our little princess. After buying all the stuff, we went looking for a restaurant to eat our lunch. 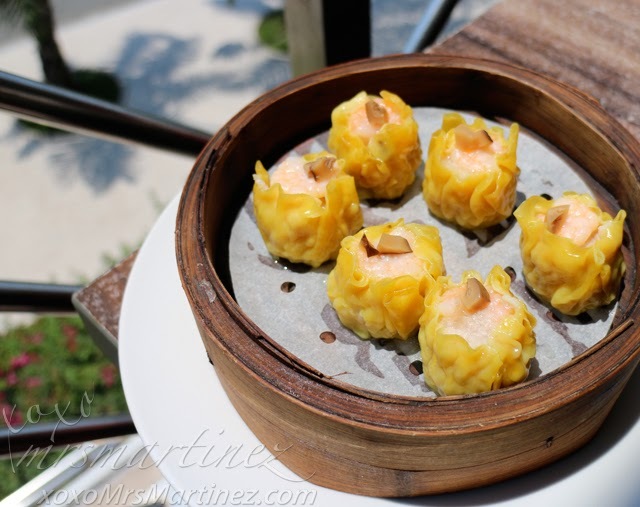 Because my daughter loves siu mai, we ate at the nearest restaurant offering it on their menu- Modern Shanghai. We ordered a 6-pc siu mai. My daughter ate 2 pieces of siu mai while my DH and I had one each. We took home the remaining two pieces. We all liked it. Since this is ribs we are talking about, I already expected a lot of bones in this particular order. However, there were also a lot of fat. As a result, half of the order was left on the plate. Mind you, the serving was small for its price. 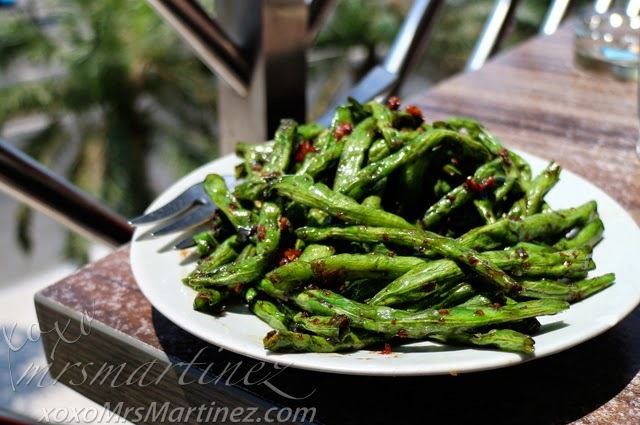 String Beans was another failed order. It was not as crunchy and palatable to taste as compared to Mey Lin Pot & Noodle House. 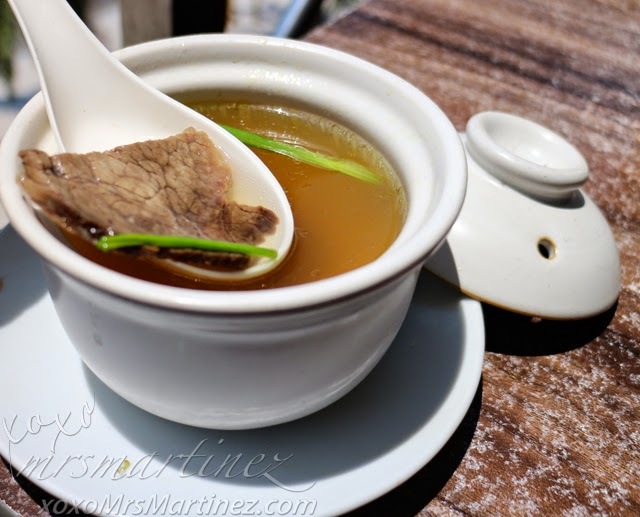 This cup of Beef Soup contained 2 thin strips of beef about the size of a match box. Aside from siu mai, my daughter loved the soup as well. 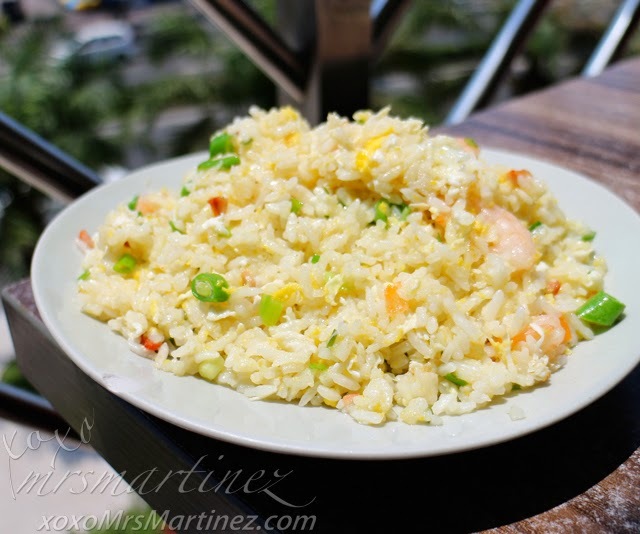 The Yang Chow served was so greasy, it was so icky to eat and swallow. We could not even finish it even though it was served in another small plate. We ended up having more leftover food we could not take home as we will be staying at Sofitel Manila for the next three days. We didn't expect that Modern Shanghai is a restaurant from Bistro Group Company. I have been to other Bistro Group restaurants and so far I liked what I ate. Anyway, there is always room for improvement. I hope that the management can look into it. Oh, the air conditioner inside the restaurant was not functioning so we ended up dining Al fresco. Modern Shanghai is located at Level 2, Entertainment Hall, SM MOA.